So far in this series I have explored several aspects of biodynamics. One gritty problem remains, though. It seems to be in conflict with mainstream science. A literal belief in what biodynamic practitioners propose would entail any adherent to jettison large chunks of scientific understanding. Given the strong antiscience movement that is emerging in western cultures, there are probably some who are prepared to do this. But can’t science and biodynamics be reconciled? Michel Chapoutier, in France’s Rhône valley, began farming biodynamically in 1991. All 250 ha of Chapoutier’s vineyards are now farmed this way, making him the largest biodynamic winegrower in France by some distance. Unlike many practitioners, he thinks that understanding the science behind biodynamics is important. ‘Biodynamic culture has an interesting future if we have an open attitude to fundamental science’. Chapoutier suggests that unless the observations of the effects of biodynamics are underpinned by a theoretical science understanding, biodynamics is in danger of becoming a sect. To this end, he is keen to understand the scientific explanations behind the various treatments. ‘Steiner had the genius of finding a great idea’, he explains, ‘but he is considered so highly that people think he got everything right, even the details. People like Steiner are good with big ideas, but not so good with the details’. Certainly, a scientific underpinning to biodynamics would aid its wider acceptance by people currently deterred by its rather esoteric, cultish image. This would probably be seen as undesirable by many practitioners of biodynamics: to them, conventional science only offers a limited perspective on the natural world. However, scientific respectability could potentially improve the take-up of biodynamics dramatically. However, rigorous research on biodynamics faces a number of obstacles. First, because biodynamics sees the whole farm as a single ‘organism’, the idea of separate, adjacent plots being farmed by different methods, in a trial-type scenario, doesn’t really fit. A second difficulty is persuading research funding agencies to pay for these studies. Professor John Reganold, a scientist at the University of Washington (Pullman) who is one of the leading authorities on organic agriculture, told me that some of his research proposals have been vetoed by funding agencies because they have contained the word ‘biodynamics’. ‘Many scientists who won’t even look at biodynamics’, he reports. In May 2002, the results of a 21 year study comparing organic and biodynamic farming with conventional agriculture were published, also in respected journal Science. A group of Swiss researchers, led by Paul Mäder of the Research Institute of Organic Agriculture, showed that while biodynamic farming resulted in slightly lower yields, it outperformed conventional and organic systems in almost every other case. The biodynamic plots showed higher biodiversity and greater numbers of soil microbes, and more efficient resource utilization by this microbial community. 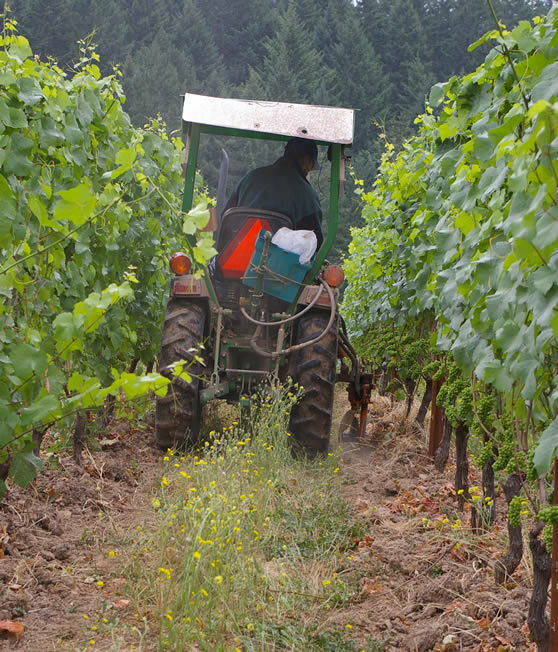 For another perspective on this issue, see the article by Douglass Smith and Jesus Barquin in The World of Fine Wine on objections to biodynamics. There is also an excellent discussion of the points raised in this article here.